I’ll be brief because I don’t want my blog to become solely about sausage rolls! 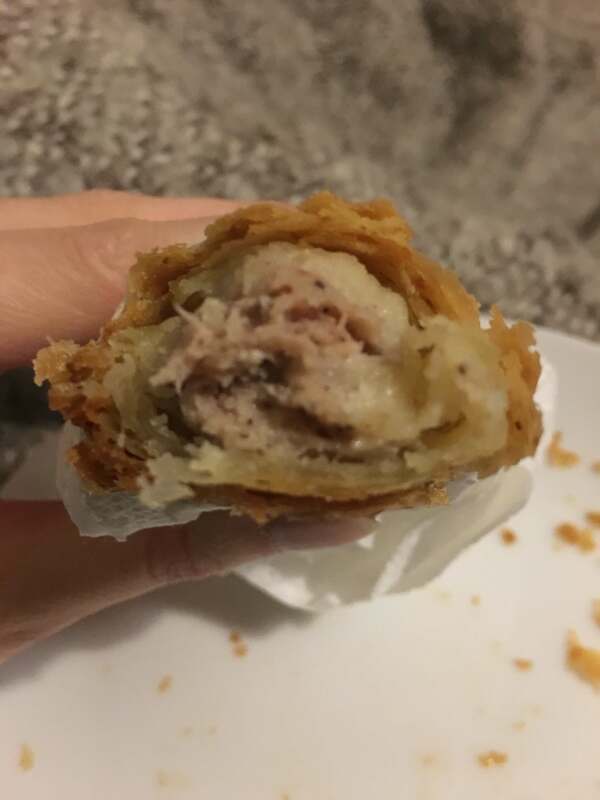 However, I have become a bit obsessed over finding a decent gluten free sausage roll of late and having discovered a really good one, I thought I ought to share! Marks and Spencer have been gradually growing their gluten free range over the past couple of years, so I was excited (but not entirely surprised) to see the addition of sausage rolls to their range. I tried one out this evening (popping it in the oven for 20 mins, as we all know a hot sausage roll is far preferable to a cold one) and it was delicious! They’ve even got the pastry right (or as close as I imagine gluten free pastry to get at the moment). My only criticism is that it could maybe have a little more meat inside. Overall, very tasty; the best gluten free sausage roll purchase yet! 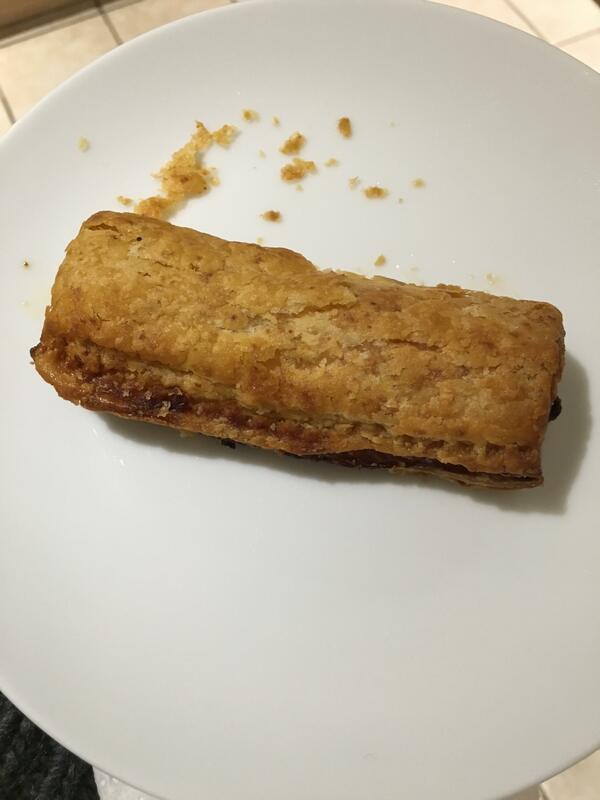 I bought the sausage roll myself – I just wanted to continue my duty to gluten free sausage roll lovers everywhere! "The continuing quest for the perfect gluten free sausage roll"